WA’s methamphetamine epidemic is transforming the State’s prison population with more than half of inmates now locked up for drug offences, assault or burglary. Department of Justice figures reveal an increase of almost 70 per cent in adults jailed for drug offences. Prisoners whose most serious crime was burglary rose 41 per cent over five years. Adults behind bars for assault rose 16 per cent. “The prisoner population is actually changing quite drastically,” Whitehaven Clinic drug counsellor Tabitha Corser said. Meanwhile, numbers spending time in prison for fraud, property damage, sexual assault and theft have remained steady. 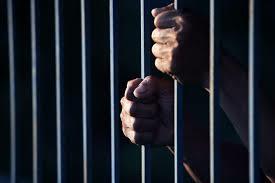 The Australian Institute of Health and Welfare’s most recent report (2015) on the health of the country’s prisoners shows 67 per cent had used drugs before being jailed, with methamphetamine the drug of choice for 50 per cent —up from 37 per cent in 2012. Arguing that access to prison programs was “quite slight” compared with what was required, Police Commissioner Karl O’Callaghan said more funding was needed to reduced demand for meth, including in prisons. He also questioned some rehabilitation facilities’ exclusion periods for prisoners post-release, saying they could be putting addicts at greater risk of returning to substance abuse and crime. “If you look at what law enforcement has achieved over the last five or six years, you’ve seen increasing amounts of methamphetamine taken off the streets — millions of dollars worth,” Mr O’Callaghan said. Ms Corser, who treats patients in prisons as well as privately, said the State’s jails were “seriously lacking” adequate programs to address the growing number of addicts behind bars. She warned meth users had re-offended within weeks of being released from jail. A Department of Justice spokesman said the profile of WA’s prison population fluctuated and could be affected by a wide range of factors, including illicit drug use. He denied waiting lists for programs could be blamed for re-offending, saying the State had one of the lowest recidivism rates in Australia and prisoners’ participation was prioritised based on risk. “(The department) has in place a robust assessment to identify and treat a prisoner’s criminogenic needs,” the spokesman said. The McGowan Government has committed to creating two drug and alcohol rehabilitation prisons, with plans under way for a female rehab prison at Wandoo Reintegration Facility and longer-term plans to turn Melaleuca Remand and Reintegration Facility into a rehab jail for men. A prisoner triage unit would then be set up to work in the court system to identify those people on short-term sentences that could be eligible for the drug and rehabilitation prisons.